Here is a beautiful song about Lisbon by Portugal's greatest and most famous singer, Amália Rodrigues. 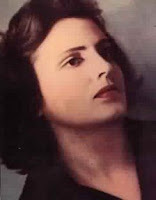 Born in Lisbon, Amália da Piedade Rebordão Rodrigues (1920 – 1999) was known as the "Rainha do Fado" ("Queen of Fado") and was most influential in popularizing the fado worldwide. She was unquestionably the most important figure in the genre’s development, by virtue of an innate interpretive talent carefully nurtured throughout a 40-year recording and stage career. Rodrigues' performances and choice of repertoire pushed Fado’s boundaries and helped redefine it and reconfigure it for her and subsequent generations. In effect, Rodrigues wrote the rulebook on what fado could be and on how a female singer — or Fadista — should perform it, to the extent that she remains an unsurpassable model and an unending source of repertoire for all those who came afterwards. 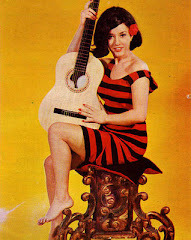 Rodrigues also remains the sole truly international star to have ever come out of Portugal, with an extensive international career between the 1950's and the 1970's, although in an era where such efforts were not as easily quantified as today. Enjoy Amália Rodrigues' inimitable style!